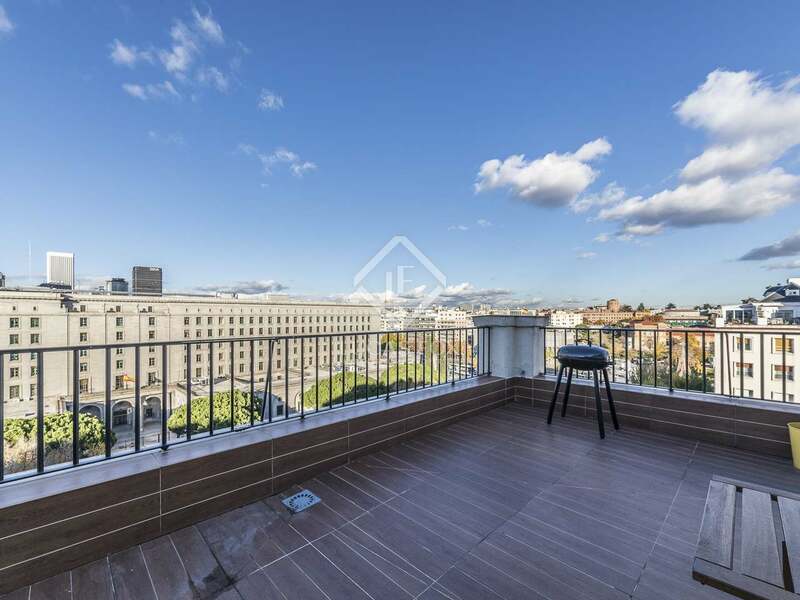 Magnificent luxury penthouse for rent in an exclusive area of ​​Madrid with a terrace overlooking Paseo de la Castellana. 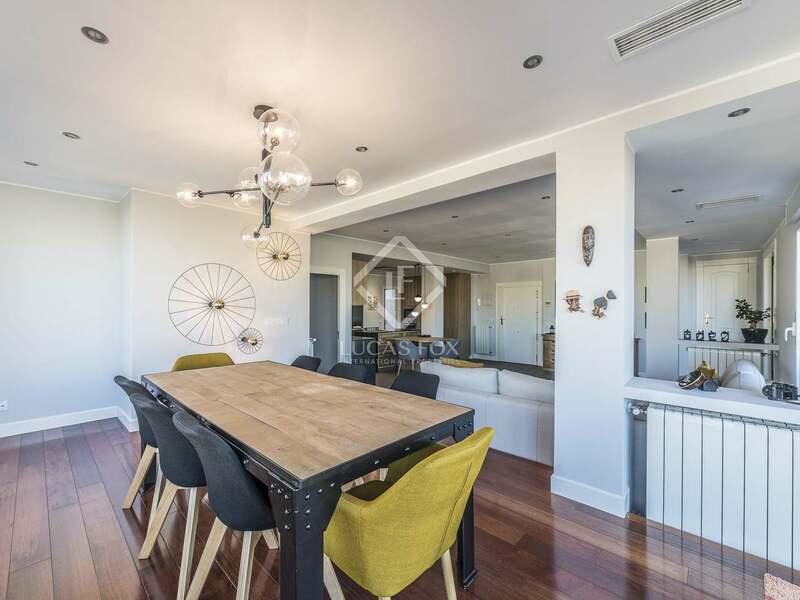 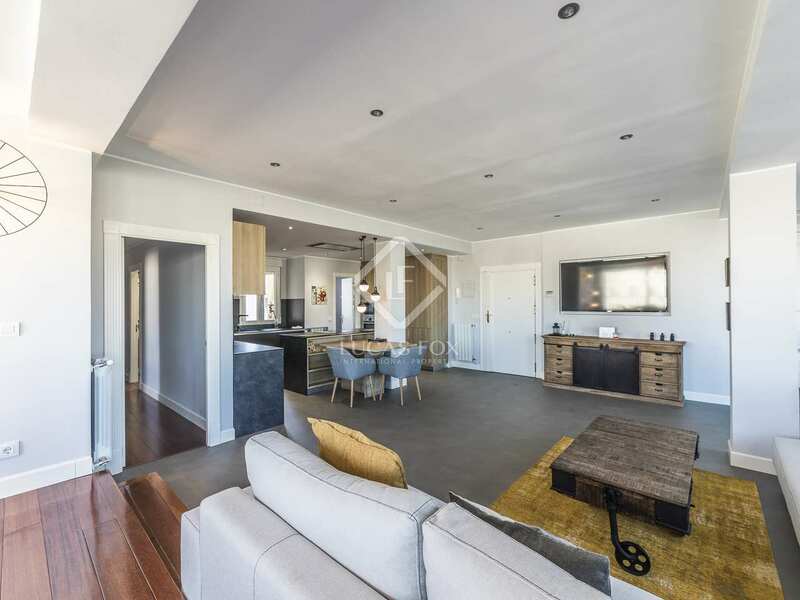 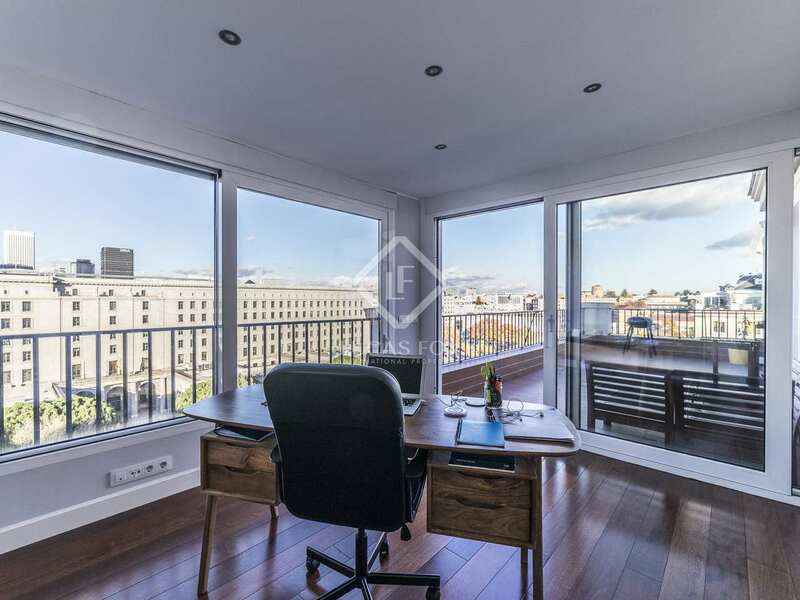 This luxurious, eighth-floor penthouse enjoys natural light and excellent views over Paseo de la Castellana. 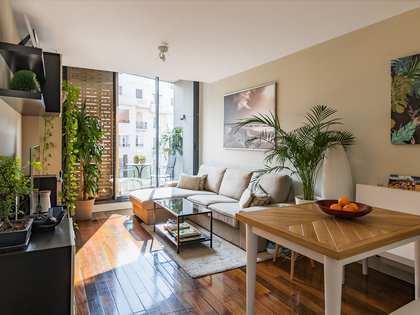 It is rented furnished, with a modern style and high quality materials and finishes. 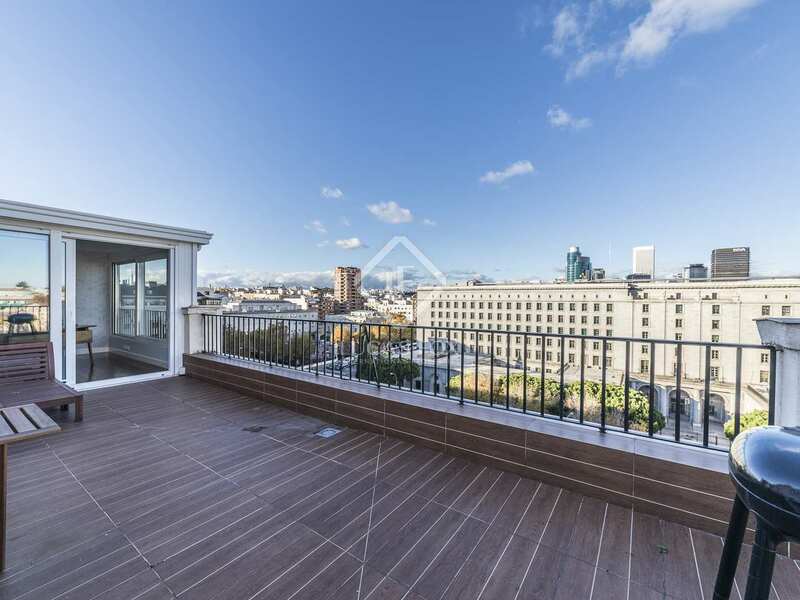 Being located on the very top floor of the building, there is only one neighbour, meaning that peace and quiet are guaranteed. 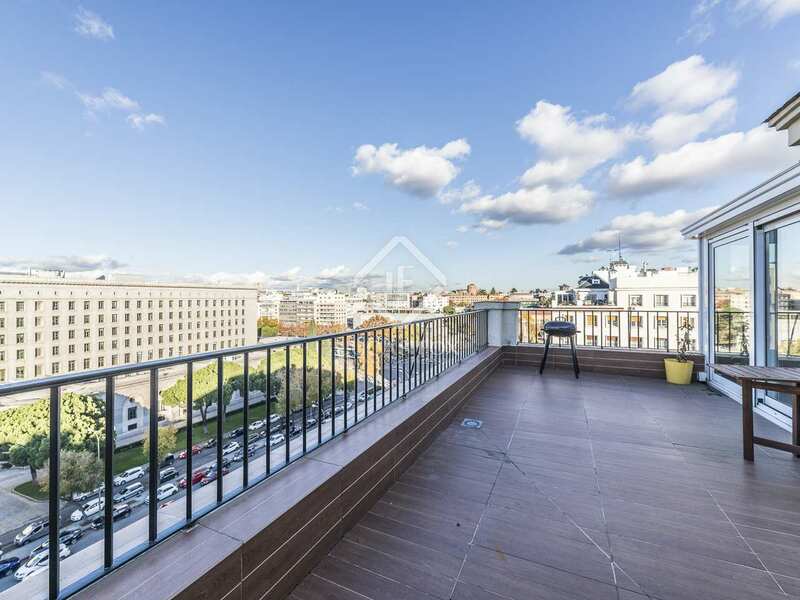 The building has a lift and concierge service with a resident porter. 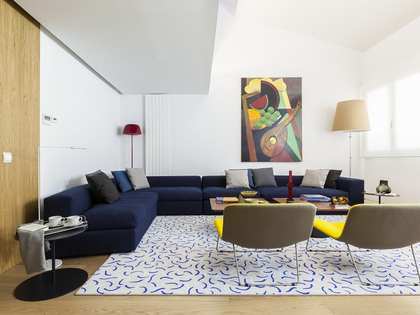 We enter the property into a large room, a dining room, and an open kitchen with a storage room. 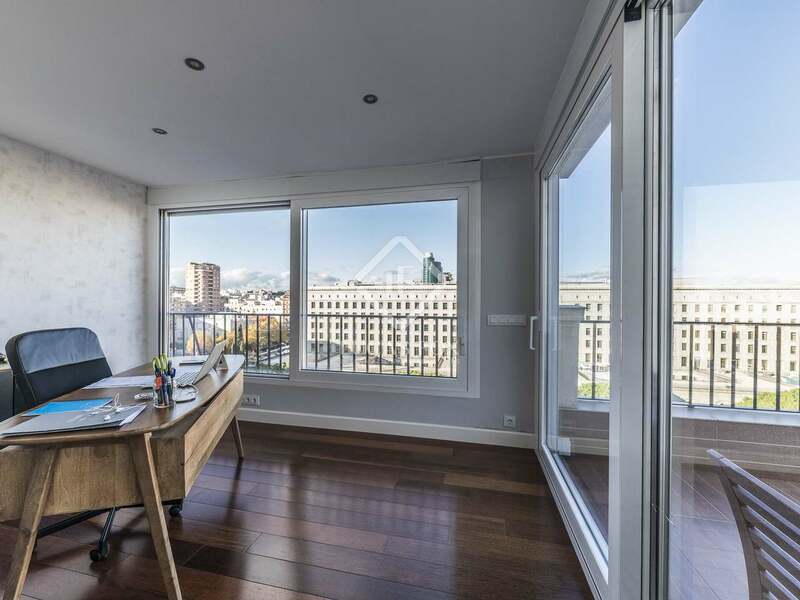 On the left there is a room which is currently used as an office, although it could be used as a bedroom. 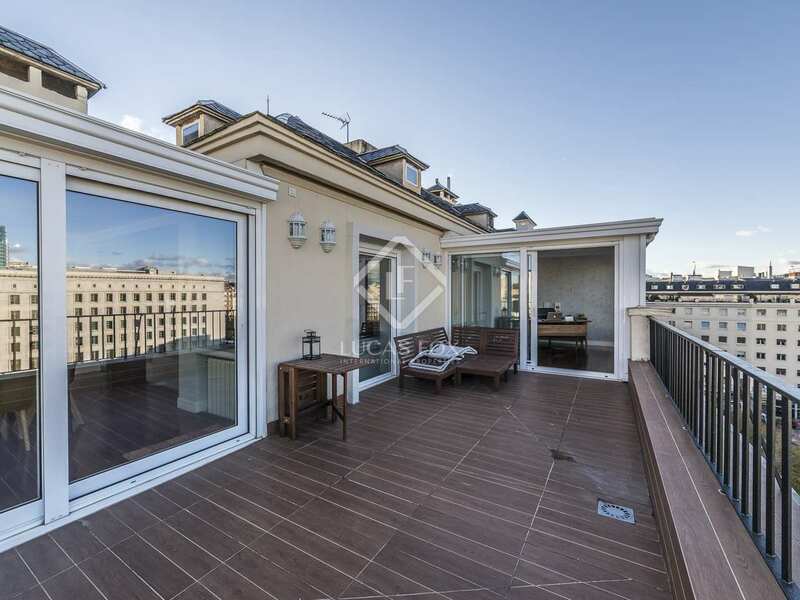 In the same area of ​​the apartment there is an impressive 20 m² terrace overlooking the street and at night it offers spectacular views: an ideal place to relax with a drink at the end of the day. 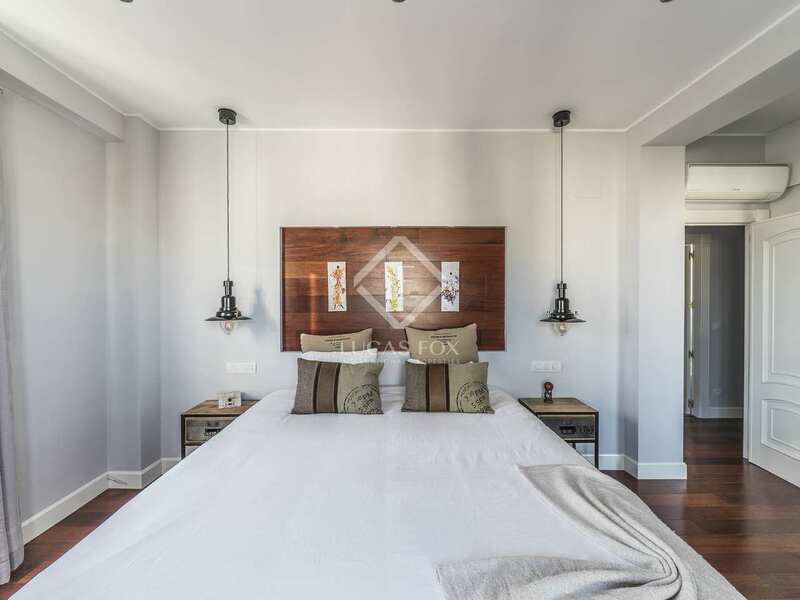 The sleeping area offers a total of 4 bedrooms and 2 bathrooms. 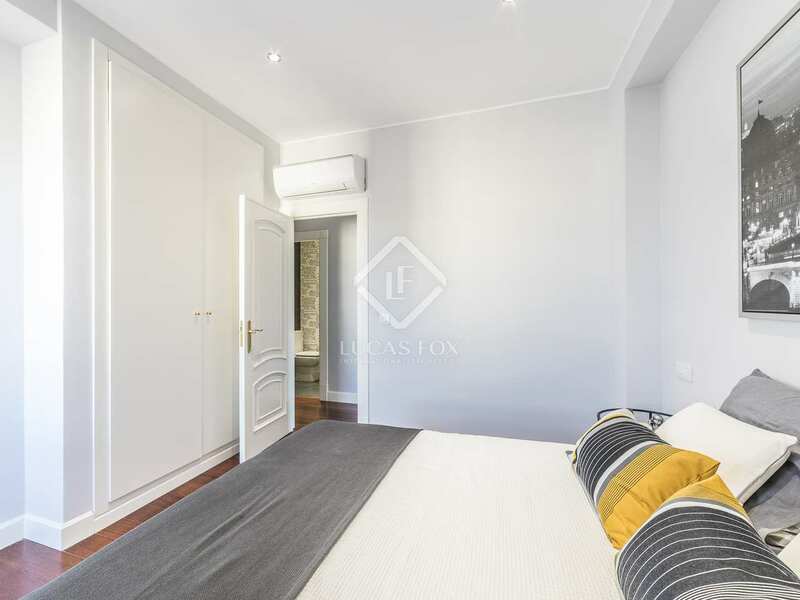 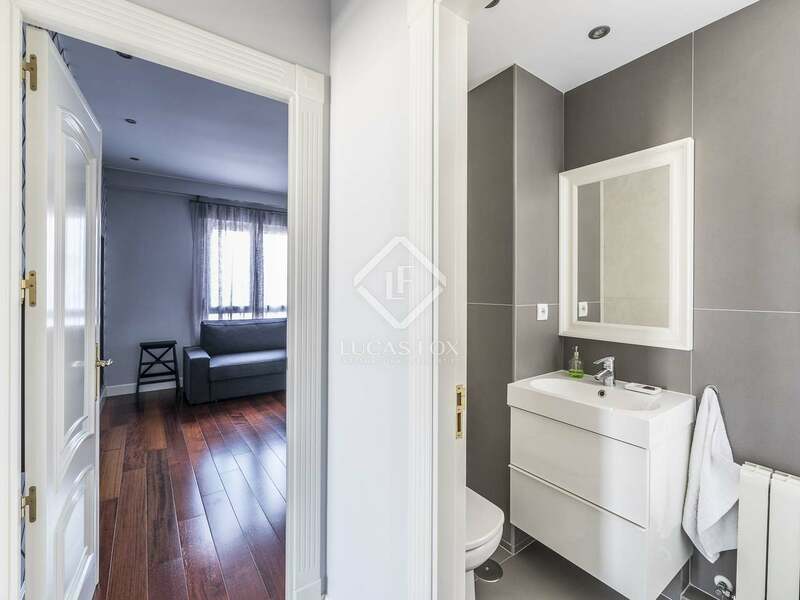 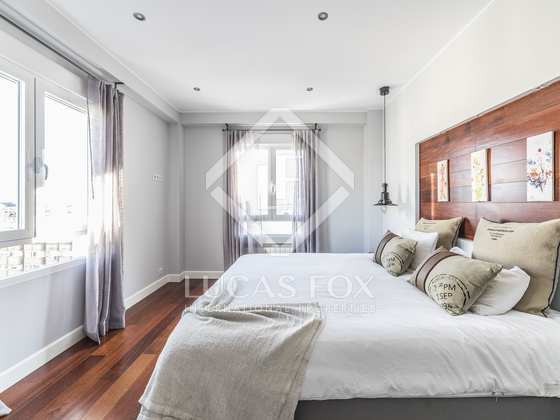 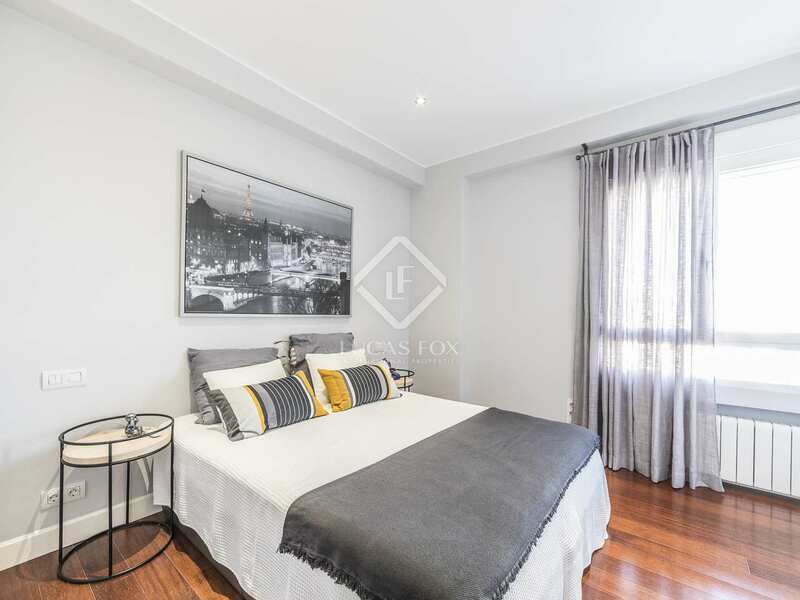 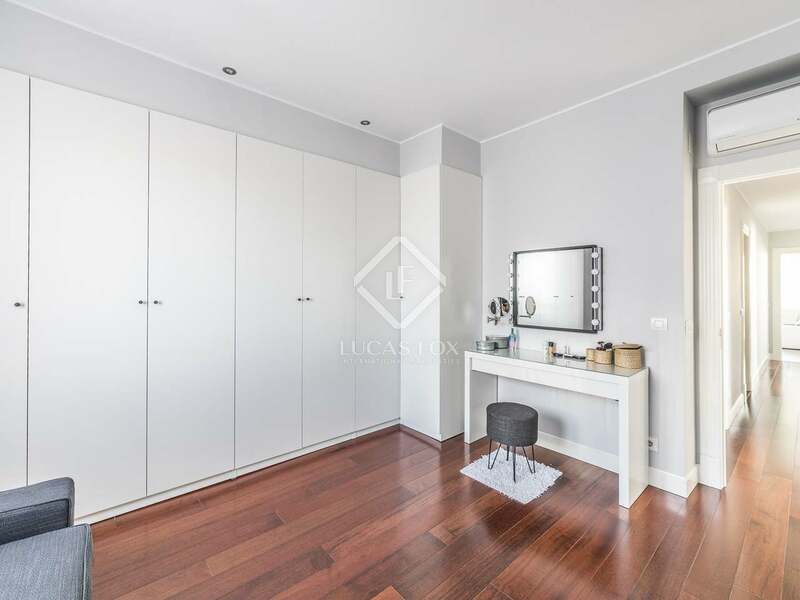 The master bedroom has a dressing room, private bathroom and 2 large windows overlooking Paseo de la Castellana. 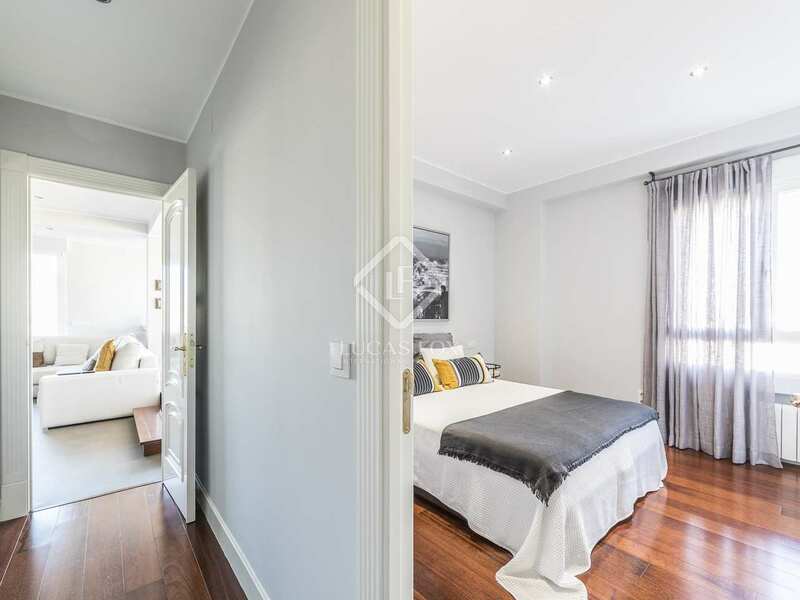 The other 2 bedrooms are well-sized and enjoy an abundance of natural light, in addition to fitted wardrobes. 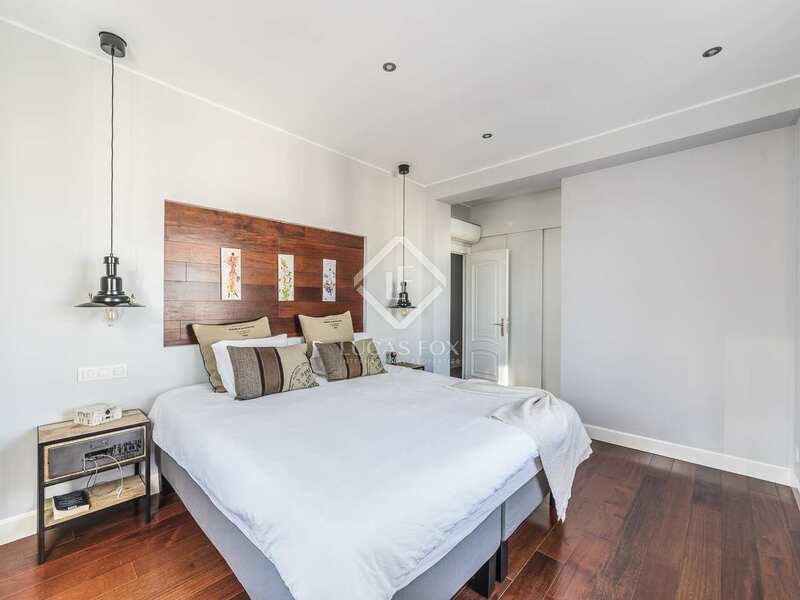 Currently, one of the bedrooms is used as a dressing room and the other has a double bed. 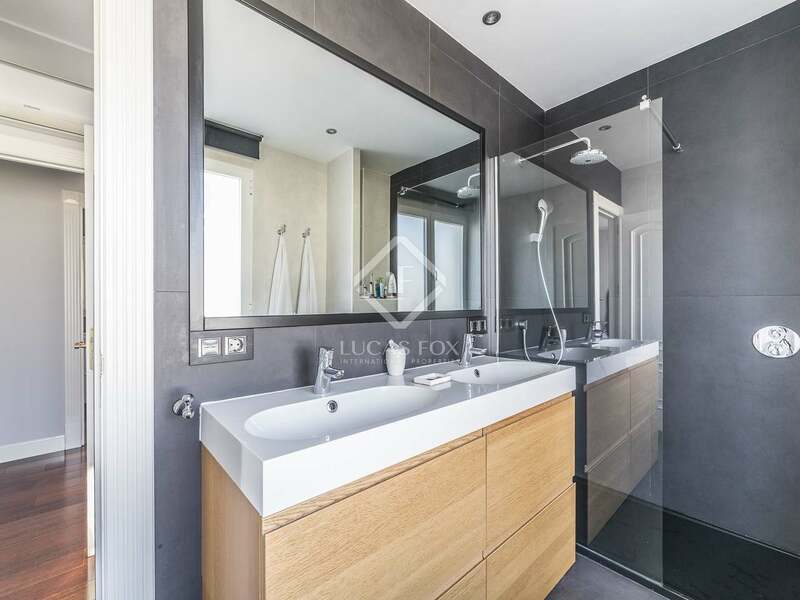 A complete bathroom, which serves all the rooms, completes the property. 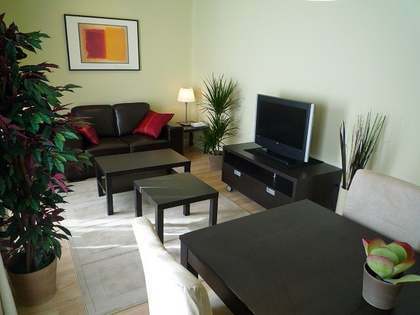 The penthouse is equipped with central heating and air conditioning in all rooms to ensure comfort throughout the year. 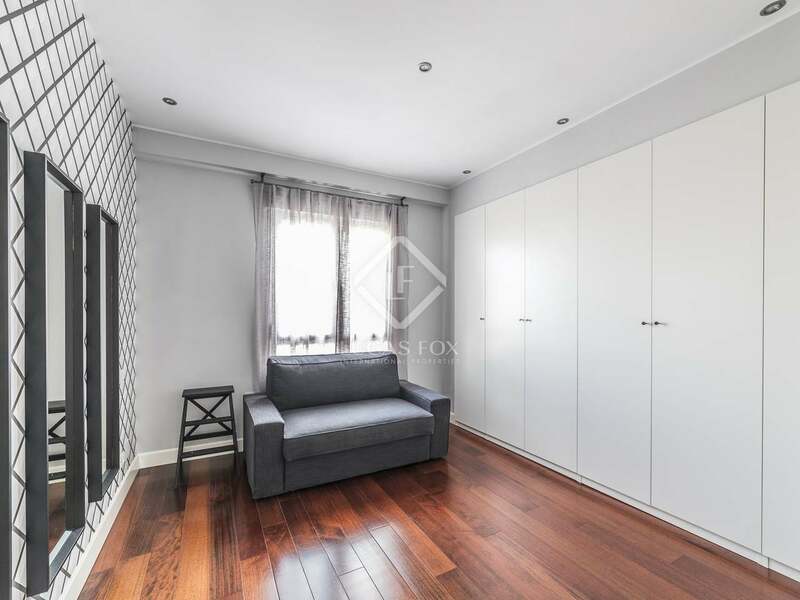 The price also includes a large parking space and a 20 m² storeroom on the top floor, this storeroom has a window and could therefore be used for a different purpose, such as a games room. 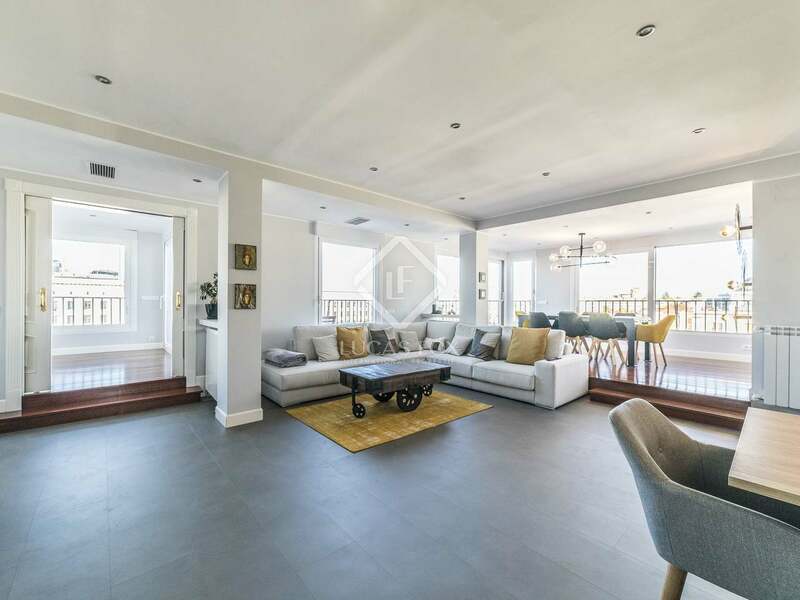 Contact us to visit this luxury penthouse for rent in Chamberí. 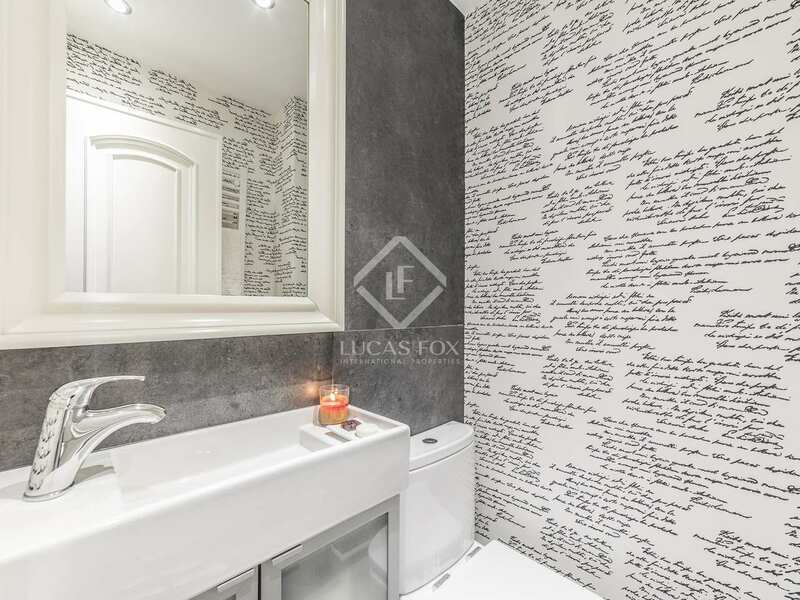 Room currently used as a dressing room. 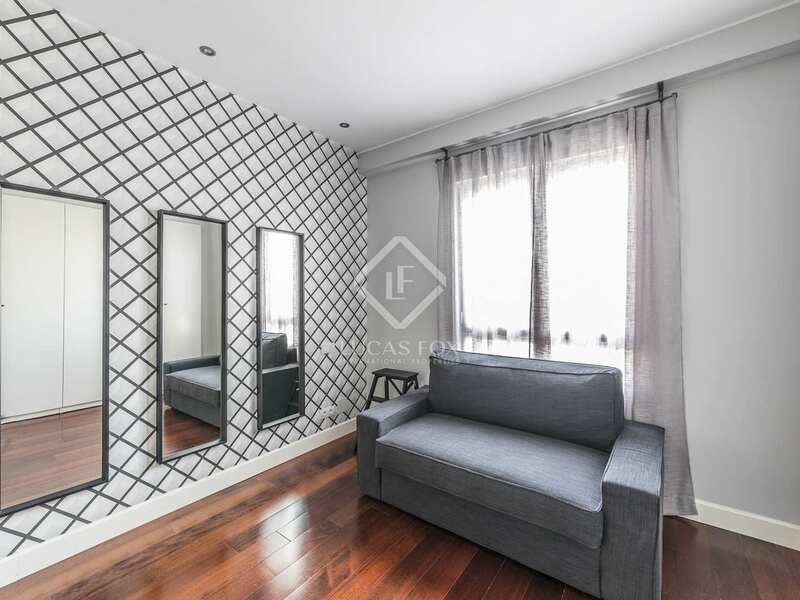 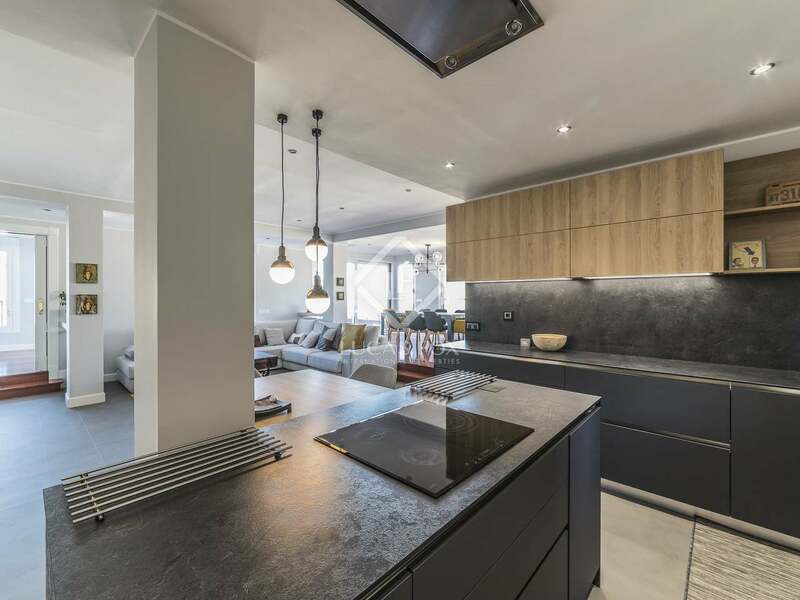 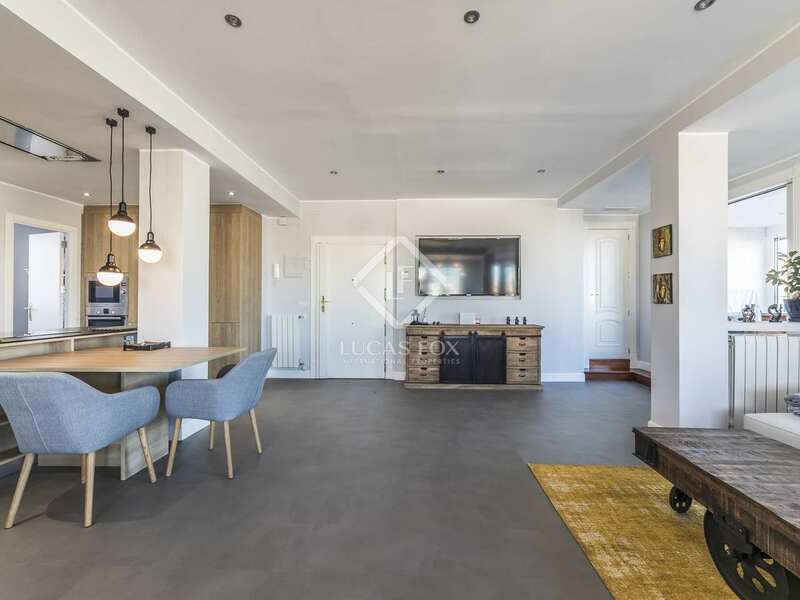 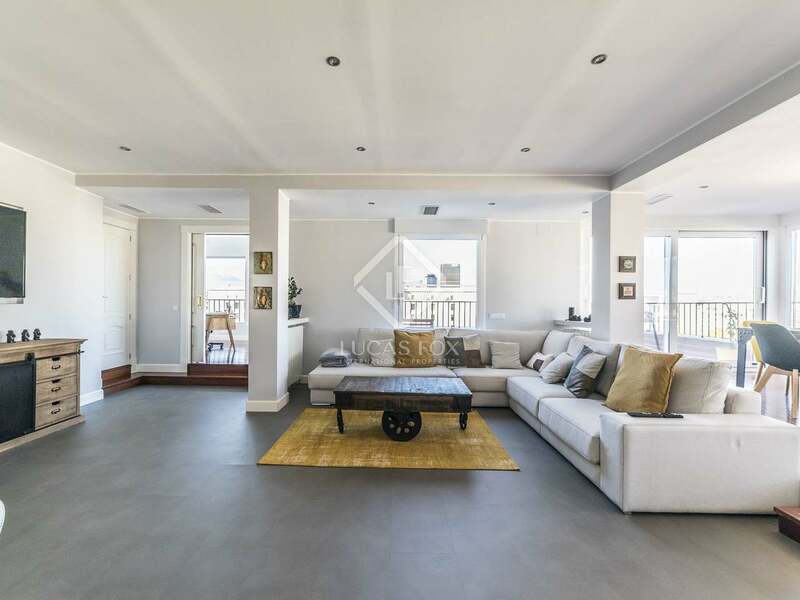 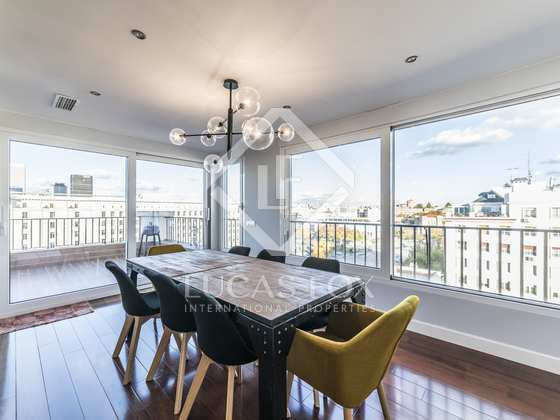 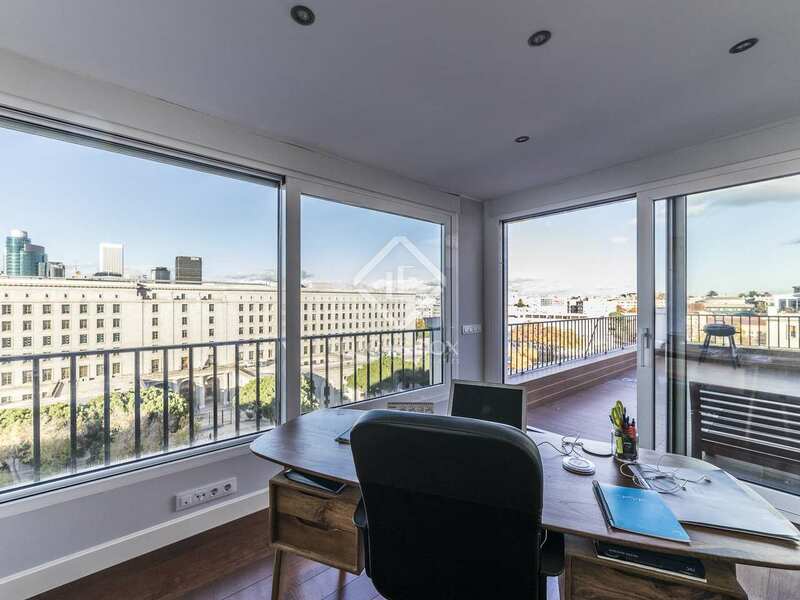 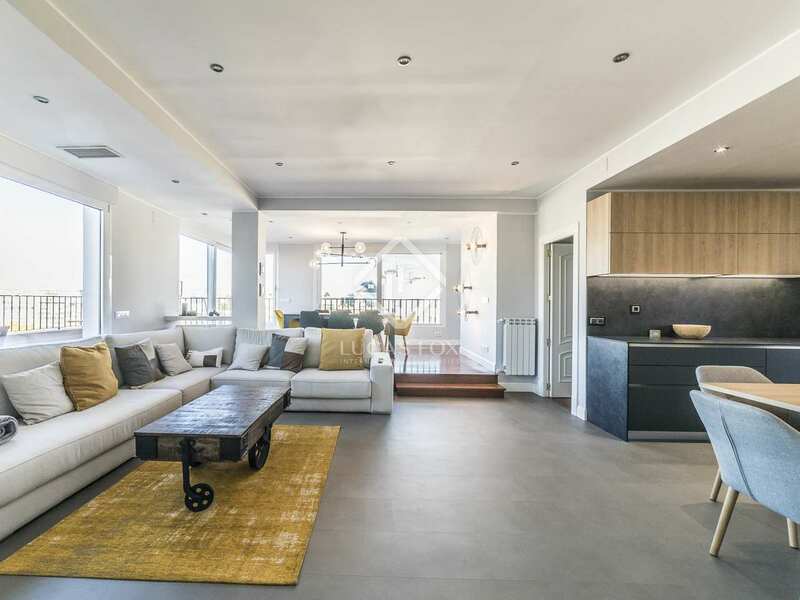 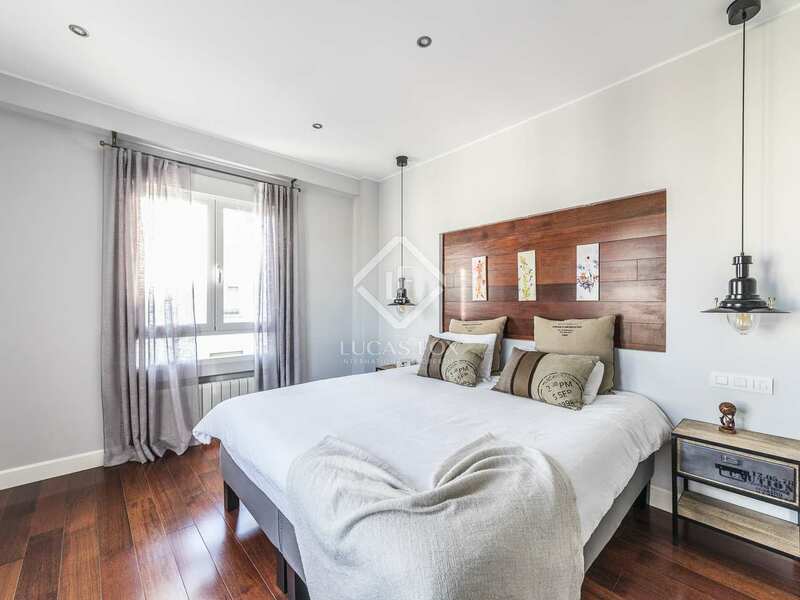 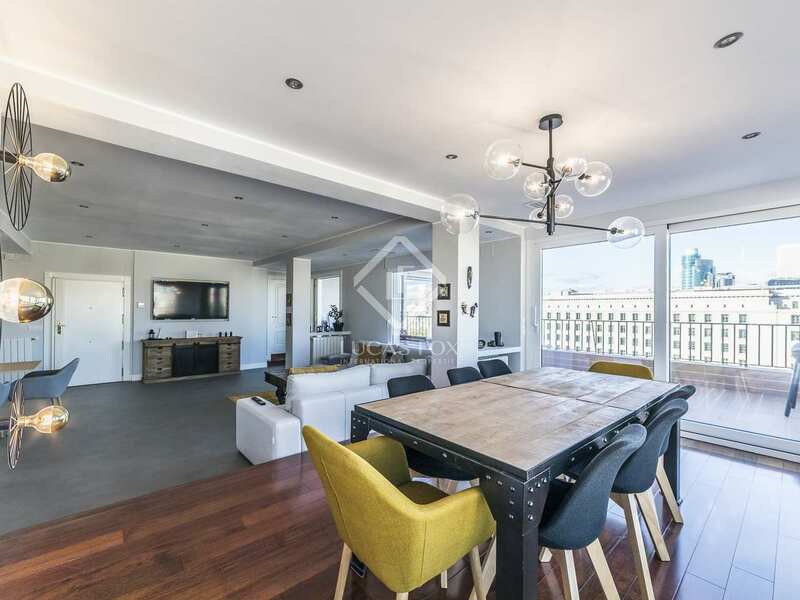 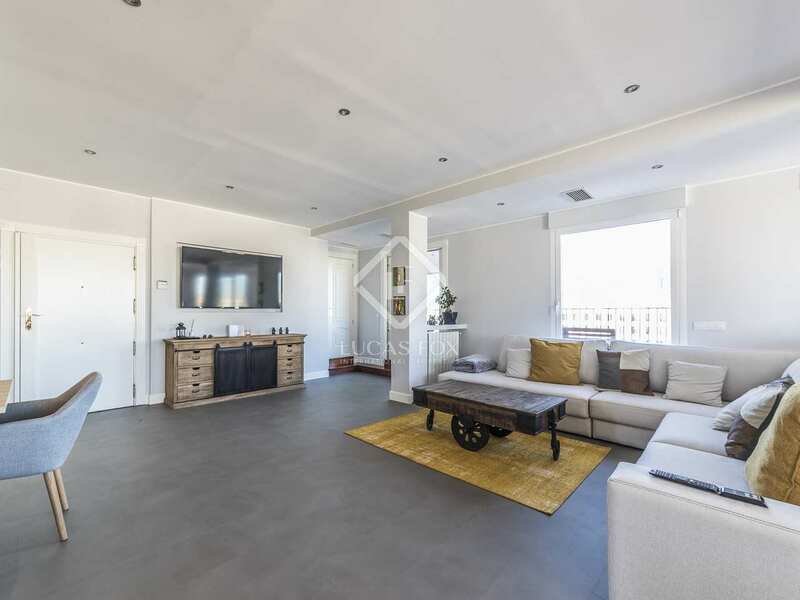 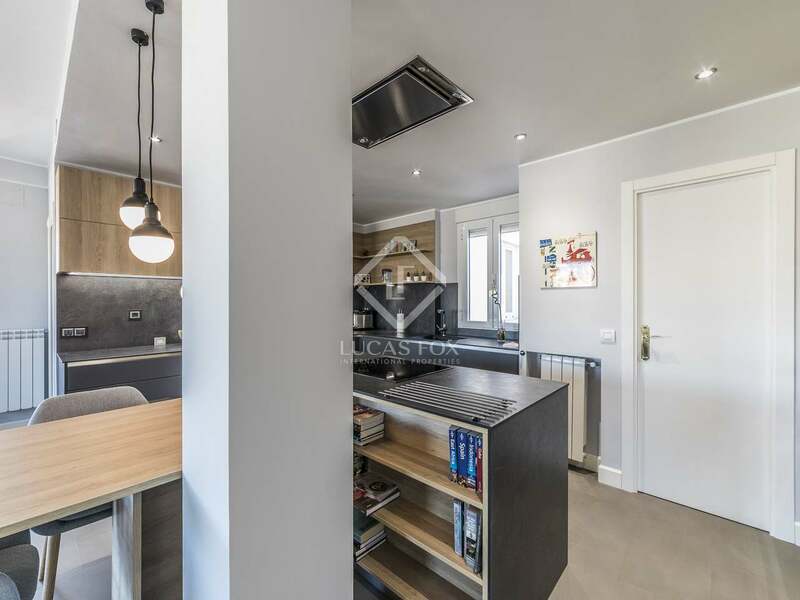 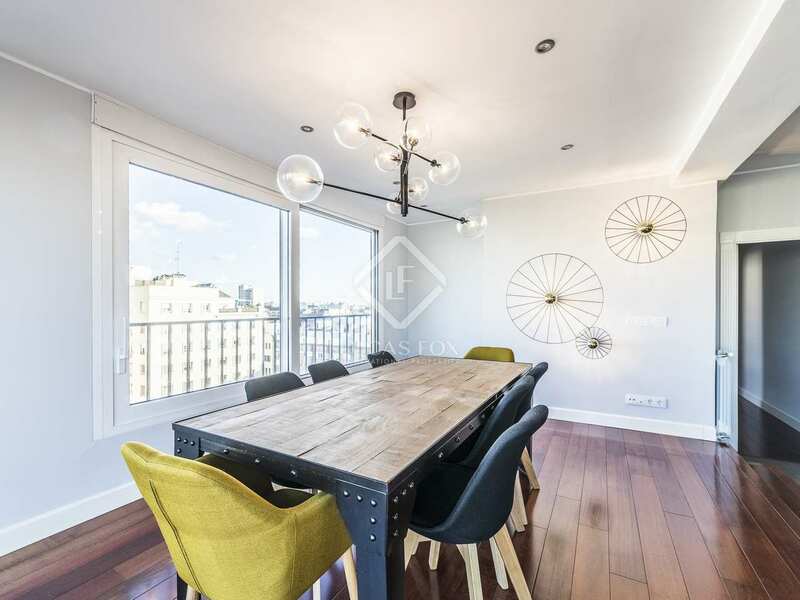 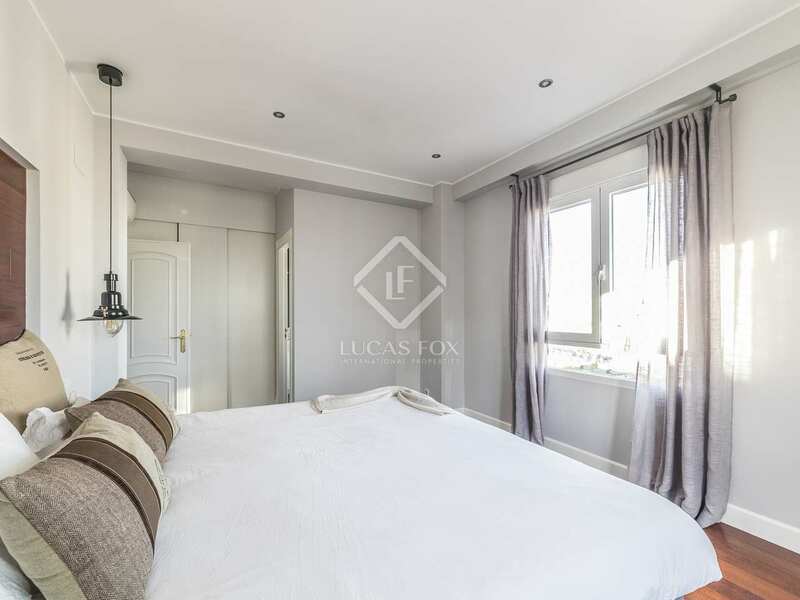 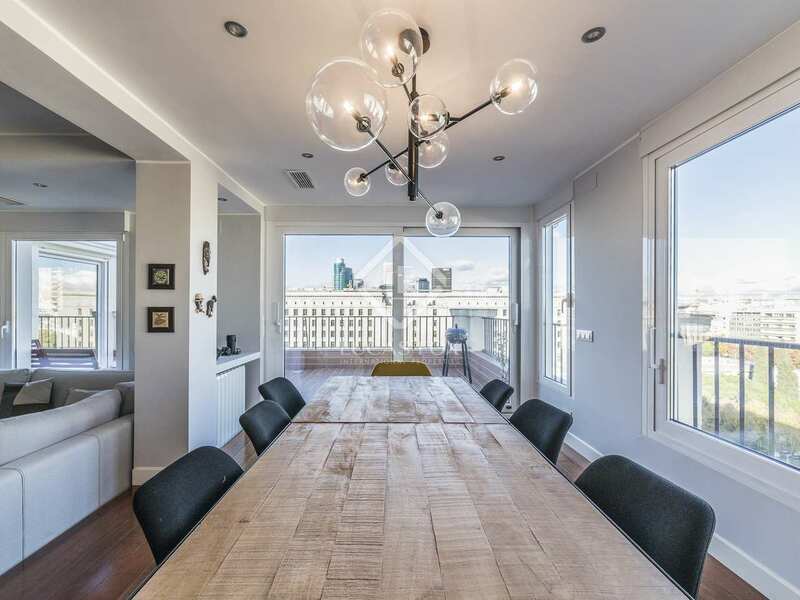 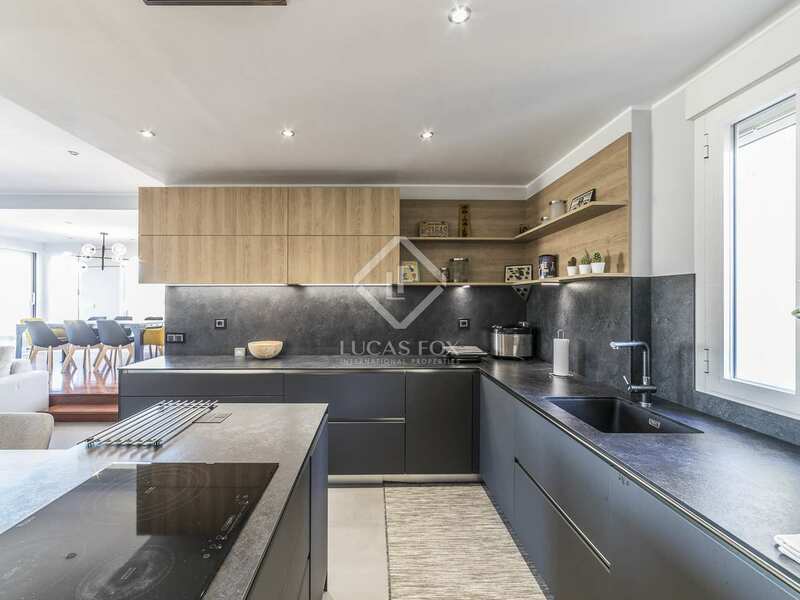 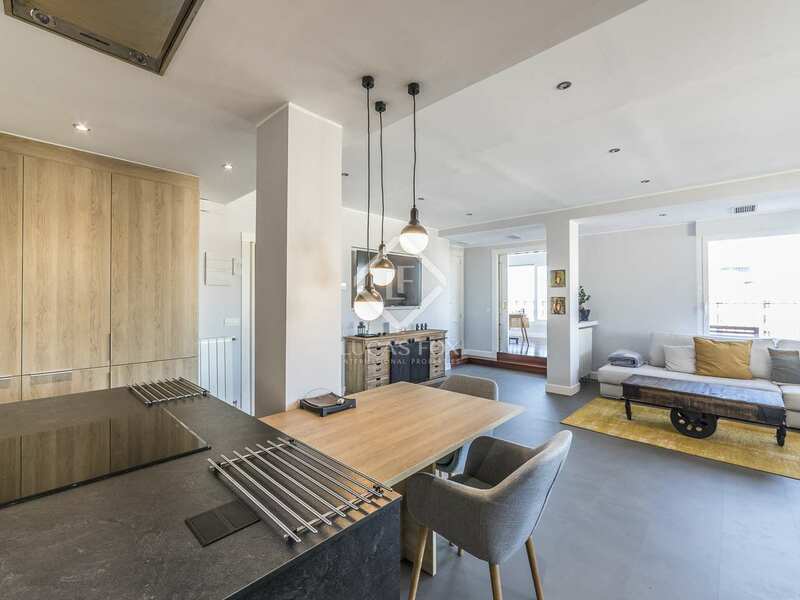 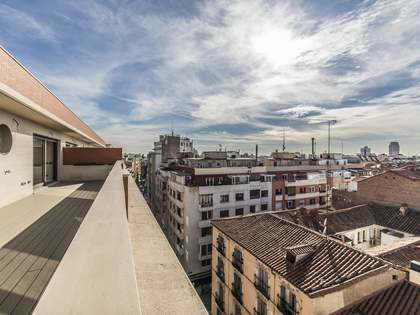 This spacious penthouse is located opposite Paseo de la Castellana, one of the most important streets in Madrid. 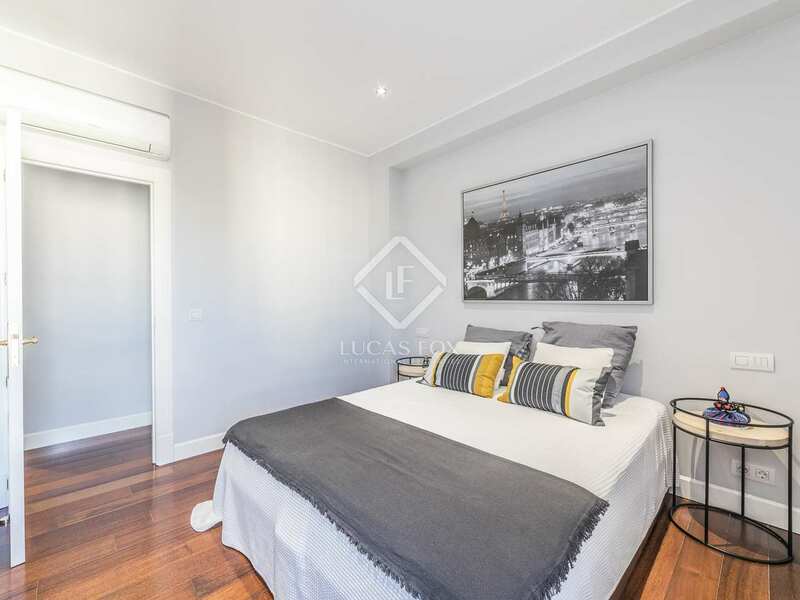 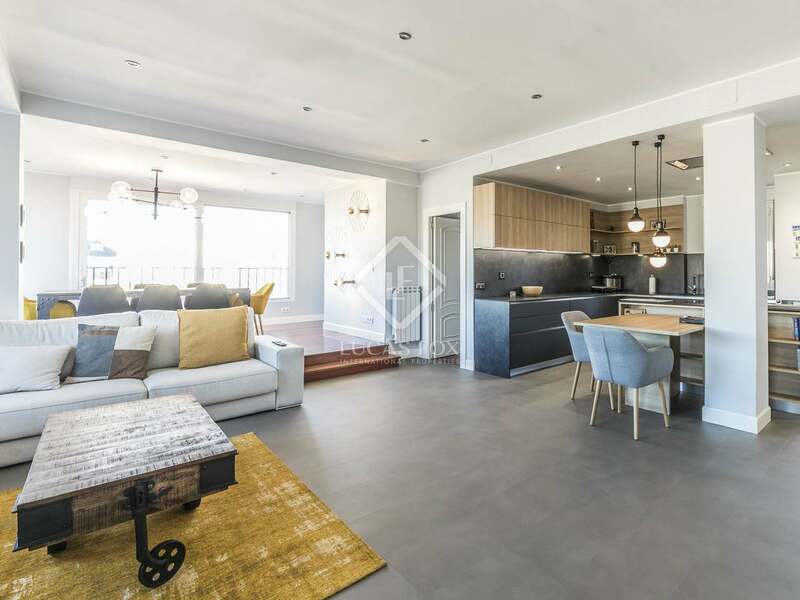 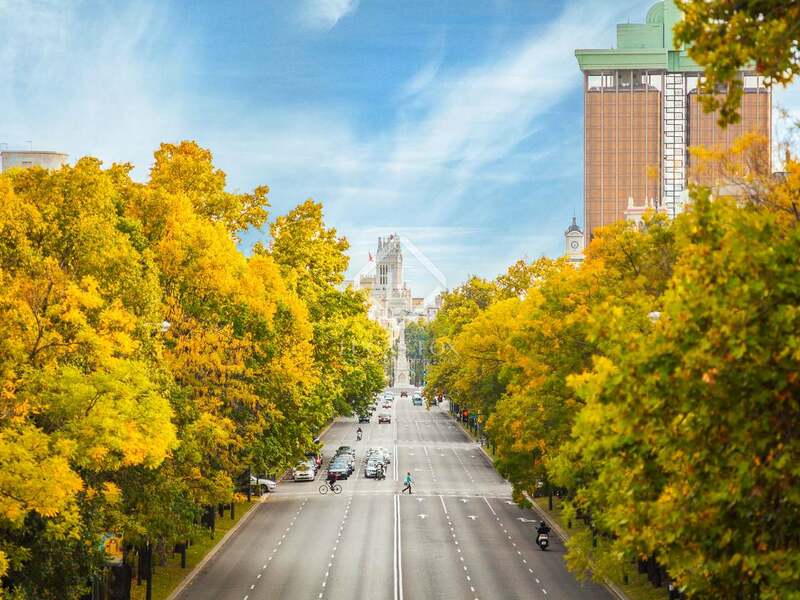 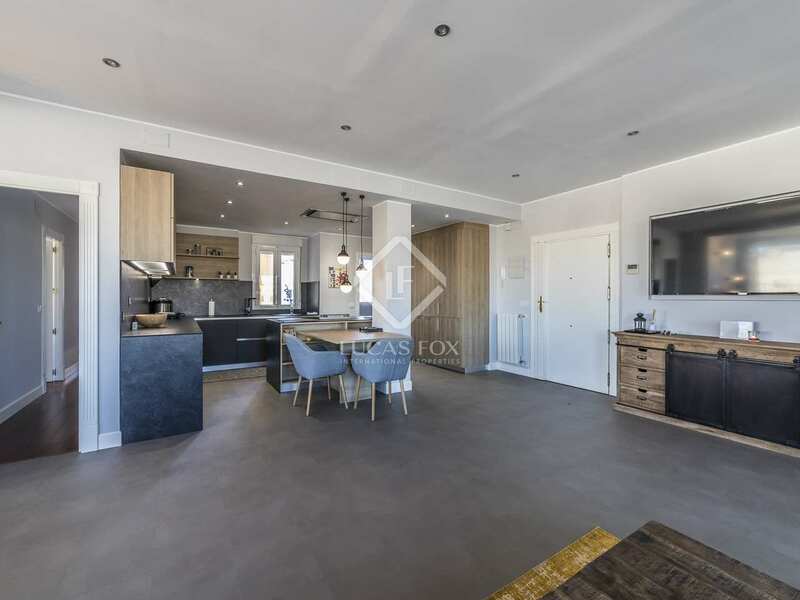 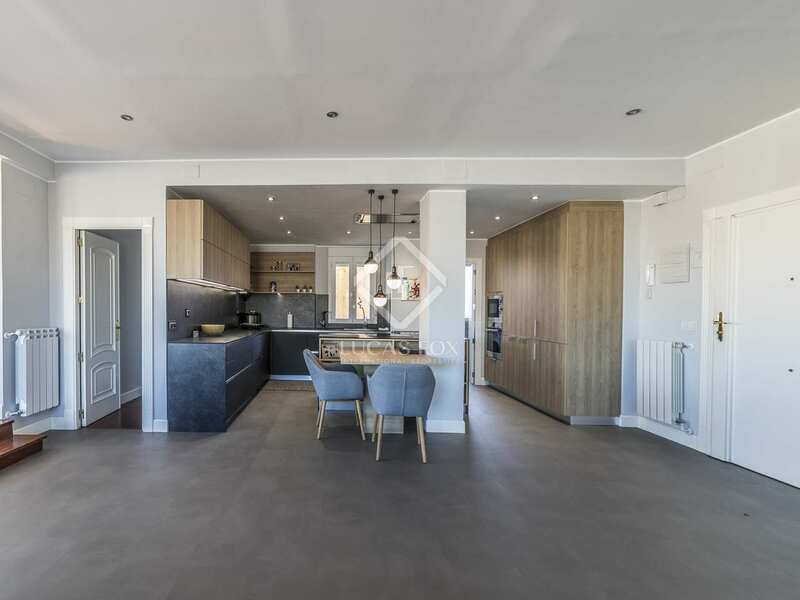 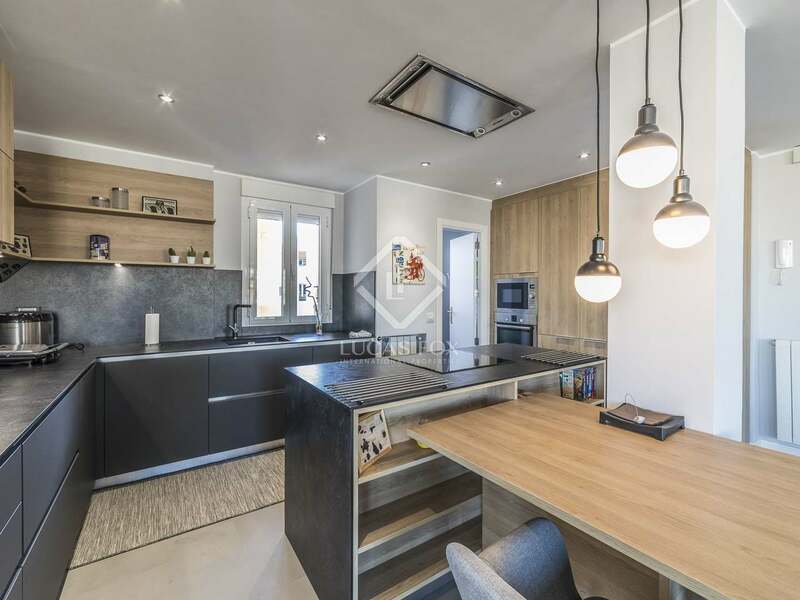 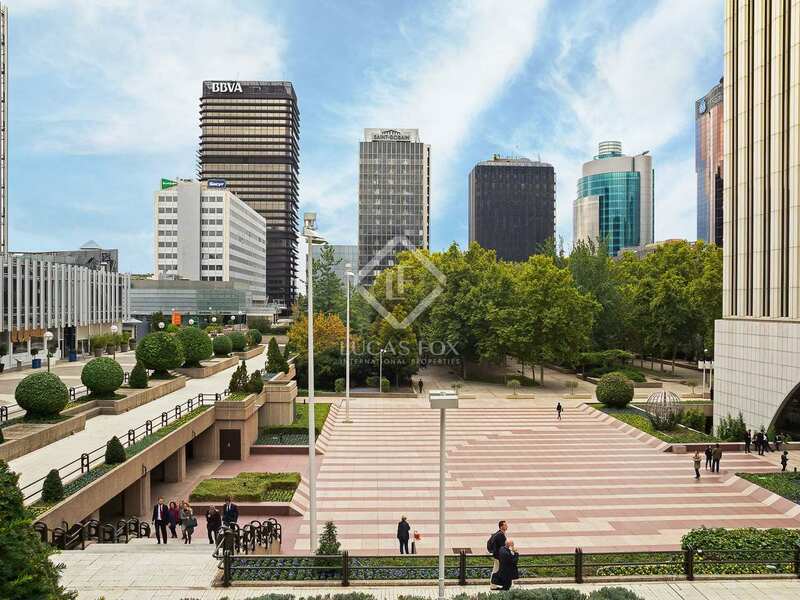 This unbeatable location makes it an exclusive place to live with excellent public transport connections to the rest of the city and airport and offering a wide range of services. Close to reputable international schools, it would make an ideal family home.